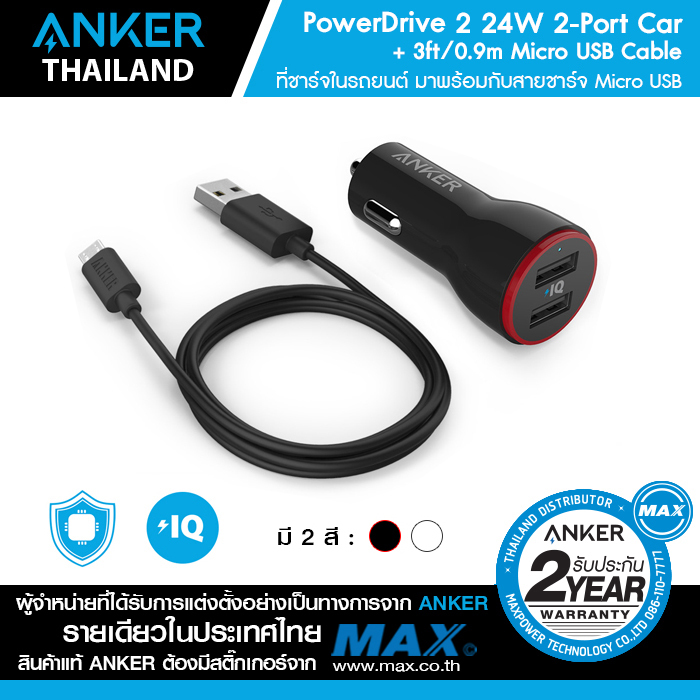 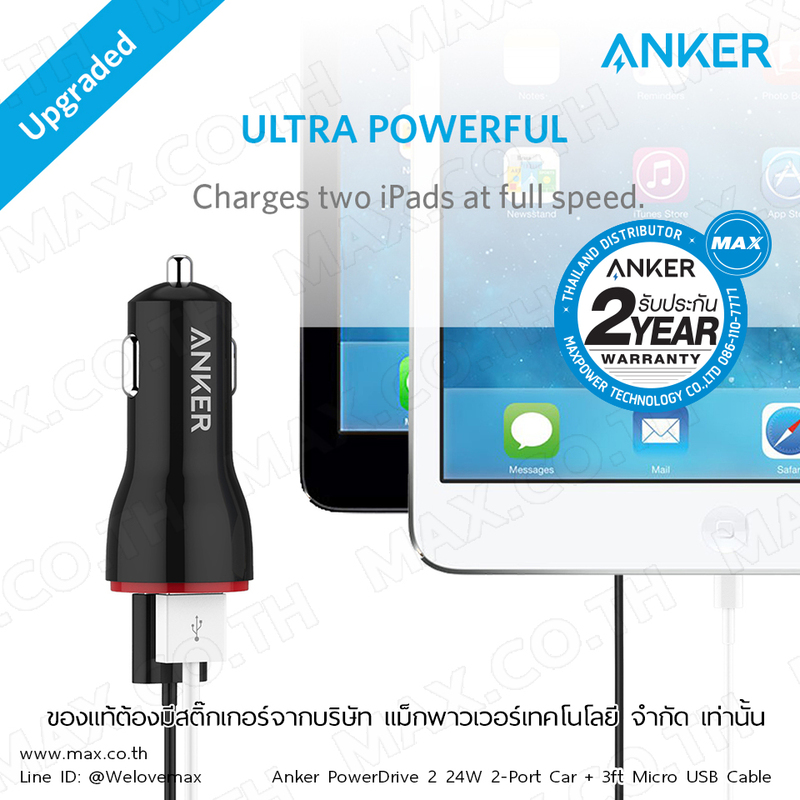 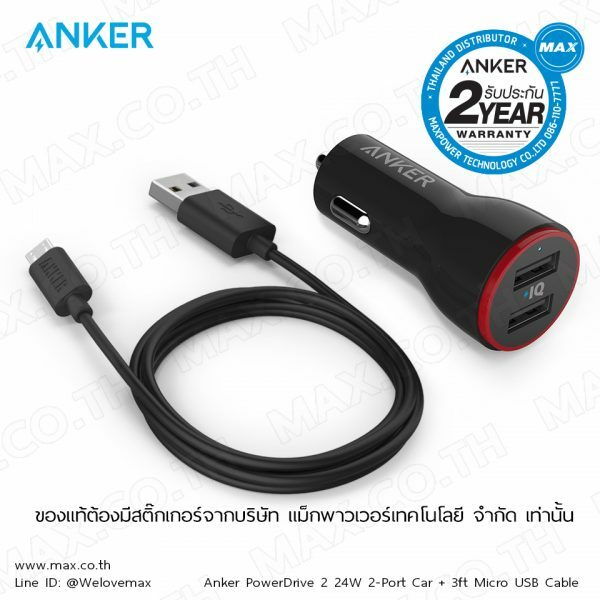 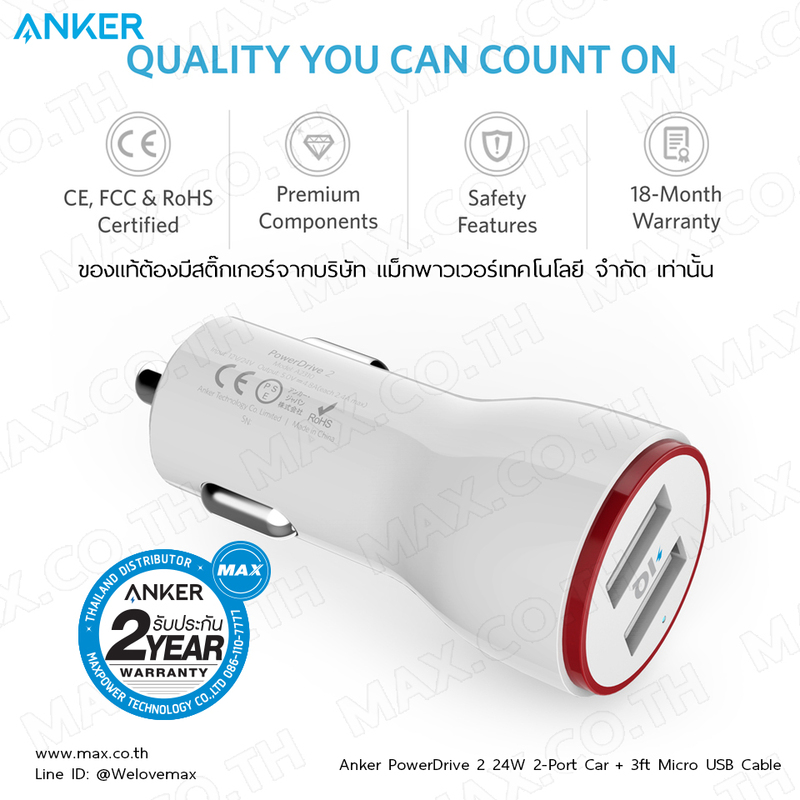 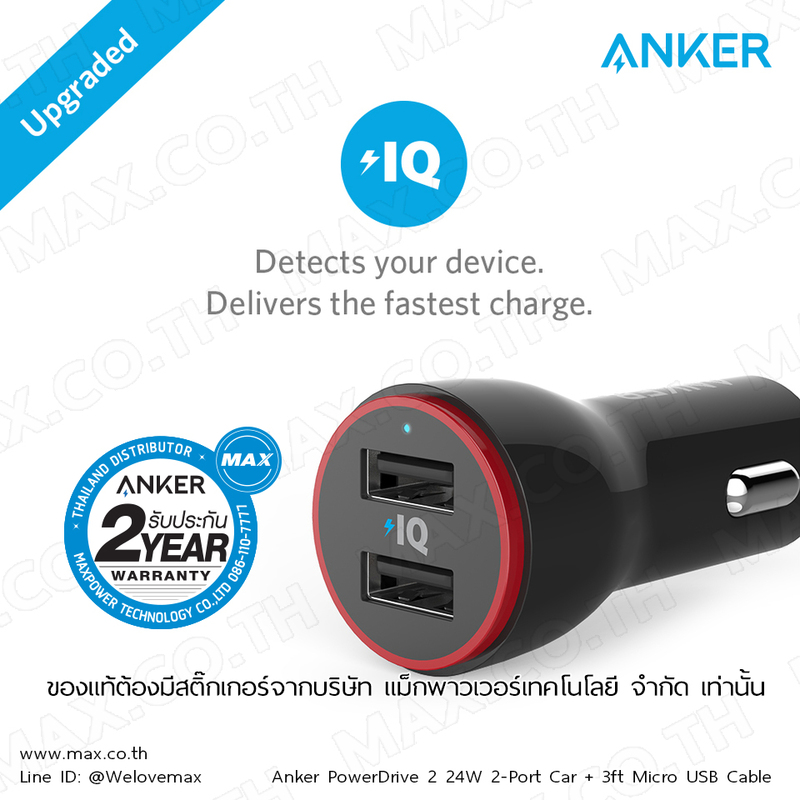 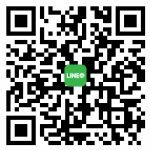 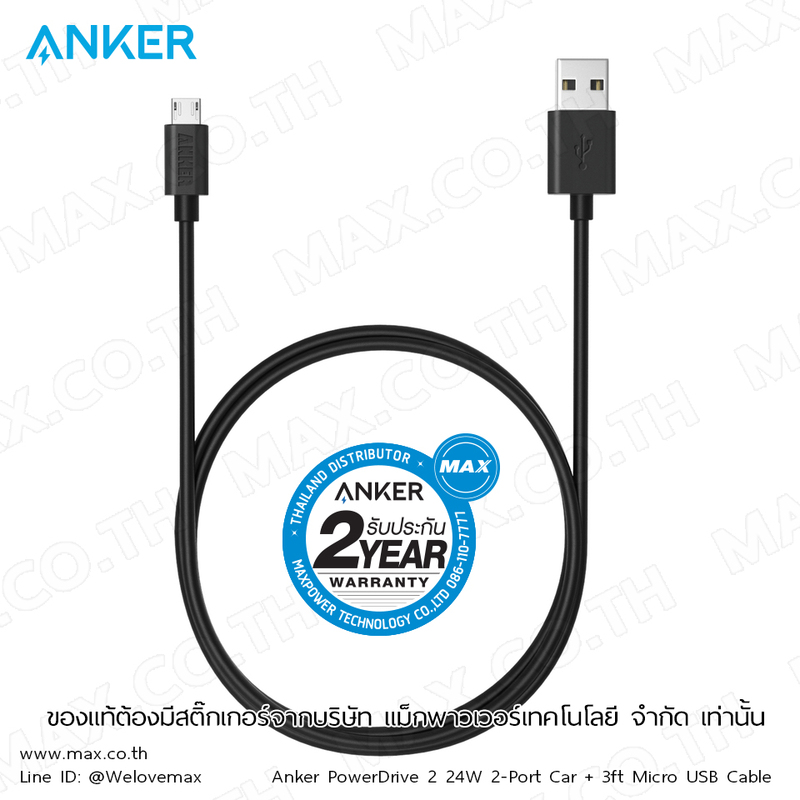 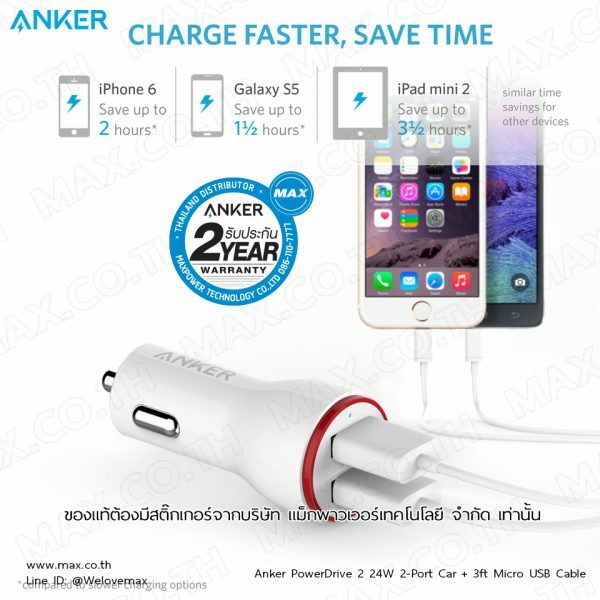 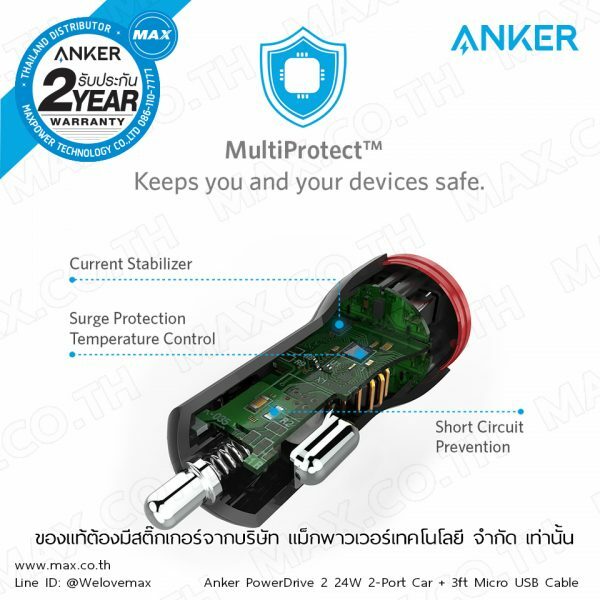 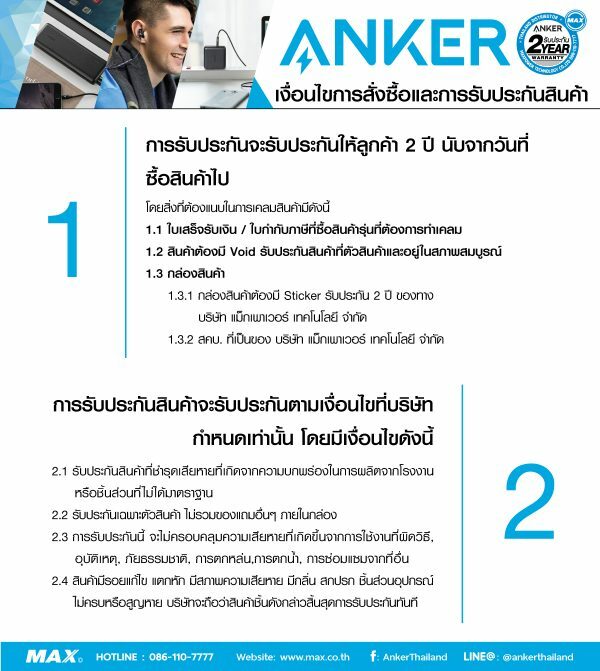 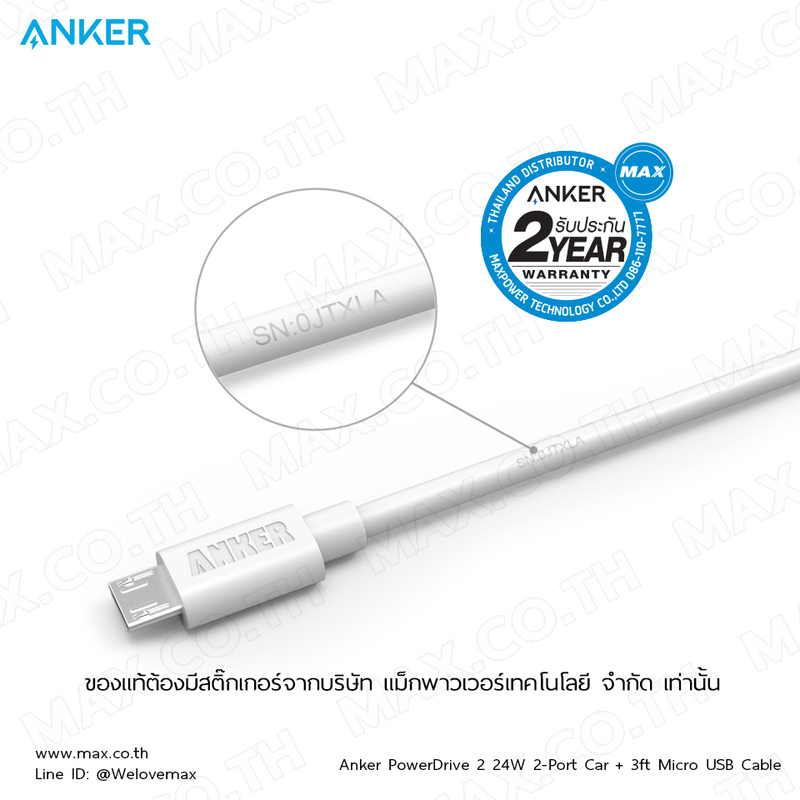 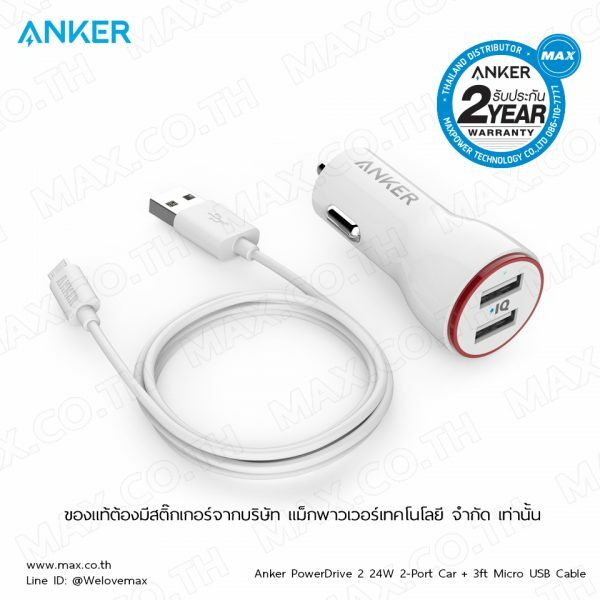 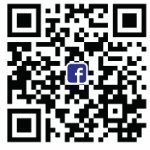 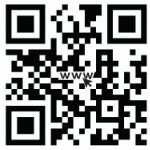 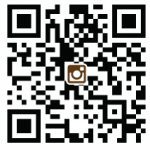 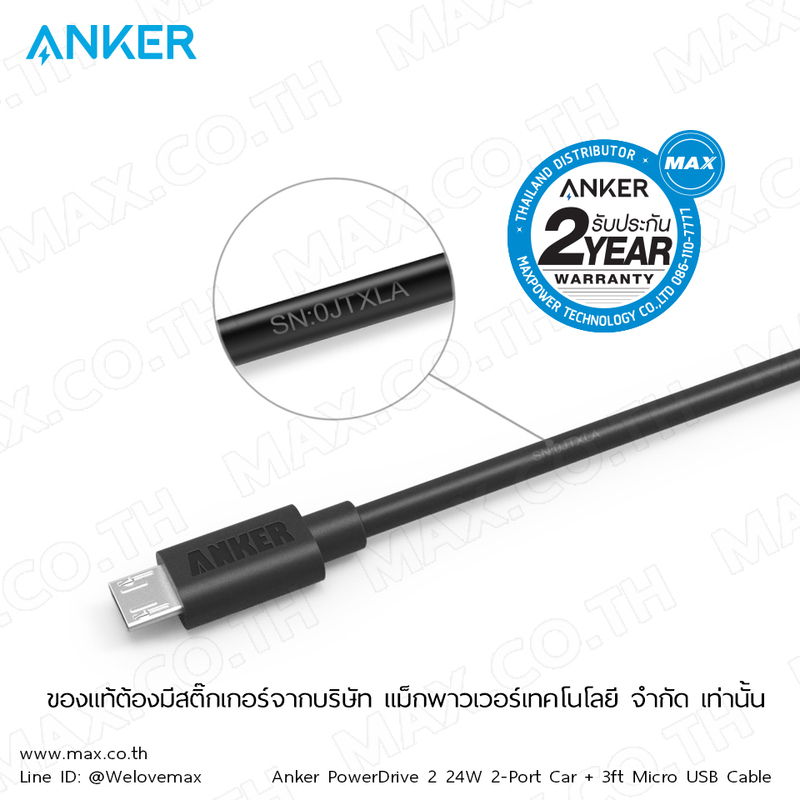 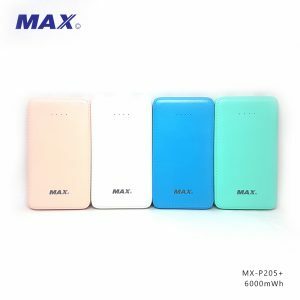 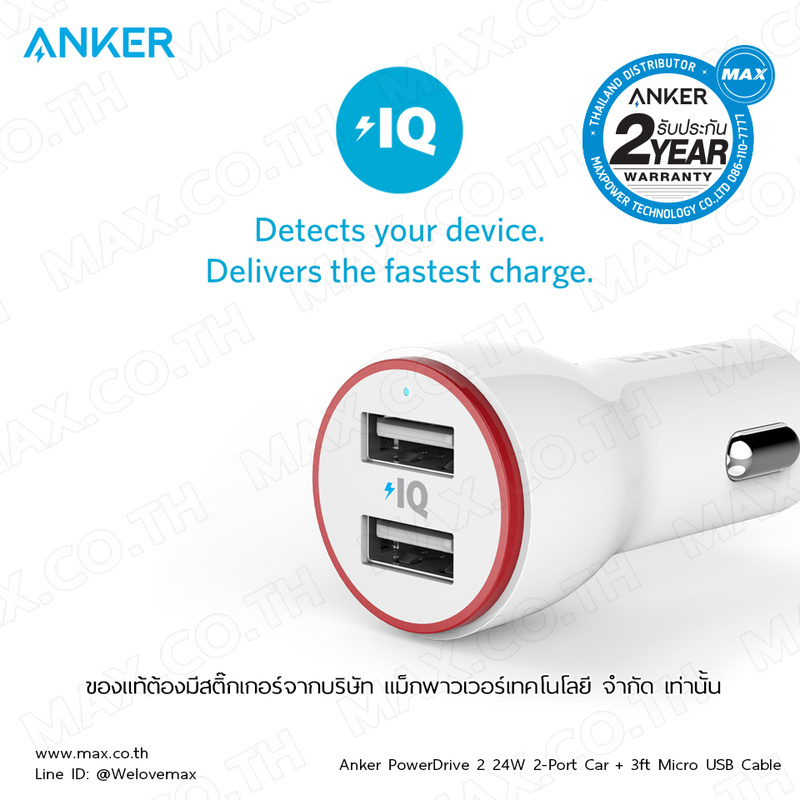 ที่เสียบชาร์จในรถยนต์ Anker PowerDrive 2 24W 2-Port Car Charger + สายชาร์จ Micro USB Cable ความยาว 3ft/0.9m (สีดำ-AK71, สีขาว-AK72) – MAX Co., Ltd. Compact Design: One of the industry’s smallest ever USB car chargers, featuring two USB ports and an LED light for after dark. 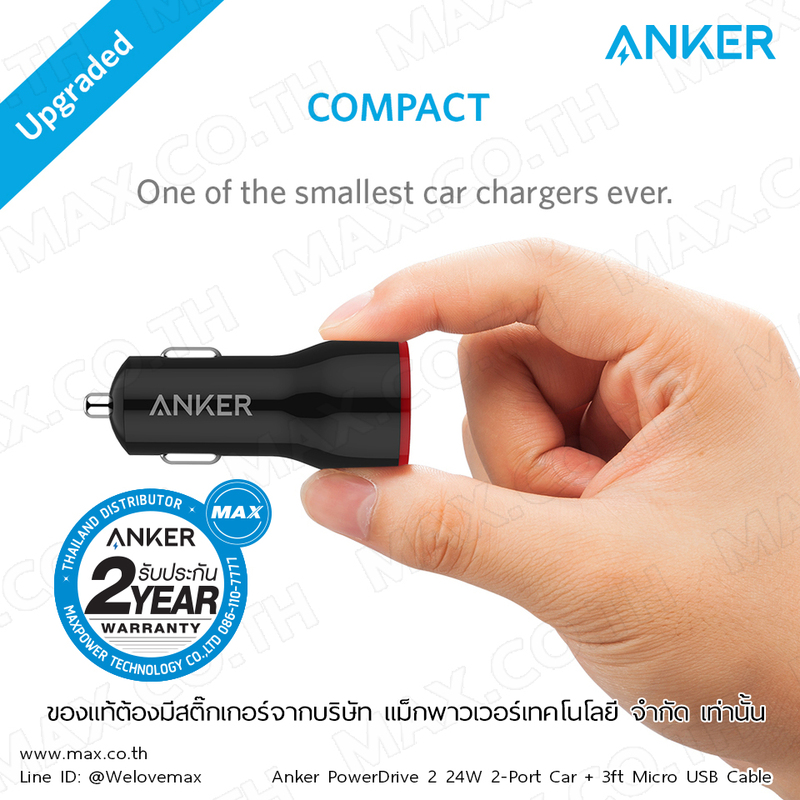 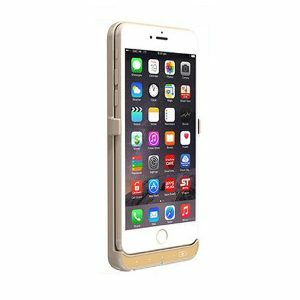 Micro USB connector fits into virtually all case cutouts, big or small.